This post summarizes of my credit card rewards for 2016. As a review, I’ve made over $12k in the past decade using cash back credit cards. It’s not a fortune but it’s extra money I wouldn’t have had otherwise — and who doesn’t like extra money? 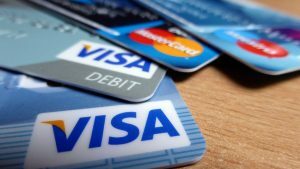 I usually try to pay for as much as I can with a credit card that gives me something back (it’s always one of the steps in my stacking discounts strategy). Why not get paid a bit for something you’re going to buy anyway? Especially when it adds up like it does. I moved to this line-up last summer and stuck with it through the rest of the year. The first three were used the entire year. That’s a total of $1,521.38! Not bad, huh? Fidelity Visa — This is our go-to card for “all other” spending — any purchases that do not get higher rewards with another card. We used this card to pay some reimbursed work expenses (when I was still working), my daughter’s college tuition, a couple vacation trips, and some major bills for my rental units along with tons and tons of everyday spending. Chase Freedom — The big bang here was that the Chase Freedom card offered 5% cash back at Costco for much of the year. Costco happens to be one of the places we shop at most, so that 5% came in quite handy. Chase Ink — The earnings here are just on our Comcast and Verizon bills. That’s the magic of 5% cash back — it can really add up fast. And it helps to make those painful cable and phone bills not as painful. Costco Visa — We only used this for gas at Costco (4%). We missed using it for gas elsewhere (4%) and at restaurants and for travel (3%) or we could have earned more. Basically, we just weren’t that familiar with the card (it was new in 2016) and didn’t take full advantage of it. Amazon Store Credit Card — 5% cash back on all my Amazon purchases — which were a lot. Much of our Christmas shopping was done at Amazon. As for now, I’ll be sticking with the same line up for 2017. The only thing that could change this would be if some new, awesome card pops up. It would have to be good enough to knock one of these out of the rotation as I don’t want to add another card unless I can get rid of one. Too many cards to manage is just a big hassle for little incremental gain. 2017 will be an interesting year for credit card rewards. We’ll likely be spending less overall than we did in 2106 as retirement has slowed our spending. However, we will be spending some good amounts in areas with higher rewards (like travel and gas) plus with my daughter headed to college (they let us pay for online classes with a card — will they once she gets on campus? ), there could be enough to earn us four-figures again. I’ll keep you updated for sure. Those are my results — how much did you earn in credit card rewards in 2016? ESI, I finally got the Amazon store credit card. I have two cards with 1% cash back and I earned about $150 cash back. Hopefully in 2017, I can save/make $500 cash back. Do you also have travel perk cards? What are your thoughts on this type of rewards card? Travel cards are tough for me because 1) I don’t travel that much any more and 2) the value of the points are both hard to determine and not as easily spendable as cash. I averaged 2.2% of my CC spend by using a 2% card (Citi Double Cash) and a rotating 5% card (Chase Freedom) for their specific categories. The two cards keeps it simple and our spending pattern doesn’t look like it would benefit from juggling an extra card, but I’m always looking for something. We’ve been all the way from one card to ten, so the current group seems right for us. This is a pretty interesting exercise and one I might do myself. I only have 1 credit card that I got back in college -the Citi Forward Card. It used to be a great card because it gave me 5% on food purchases and amazon purchases. The 5% on food was HUGE for when we had summer associates at my law firm. I’d basically go out to eat every day for lunch, put it all on my card, get 5% back, and get reimbursed by my firm. Alas, after 9 years or so they finally cut the 5% down to 2%. Bummer. I’ve always thought about juggling multiple cards, but I don’t know if I have it in me to deal with all that. I’m guessing all of your cards have no annual fee? Correct — no fees of any kind. Our 2016 “earnings” were mostly a Turkish bazaar of travel points. As you say, those are hard to value perfectly, but we did use them to avoid over $1,000 in hotel costs (and still have a fat bank left over). It does – almost too definitively. I followed one of the links and it confirmed what I’ve long heard – that the IRS has given very little guidance on this. Apparently some cc issuers have given out 1099’s for the sign-on bonus, but none have (yet) for the cash back feature. I’ll make hay while the sun shines. Intersting thought on the Chase ink as yes those bills are high for now. As soon as my son is out of the house I want to cut the cable and cell phone bills will lessen when sons are off the bill or at least paying it. So do you use the Chase ink for anything else? My guess is no? The Costco Citi seems just as good for that. BTW the Costco Citi has a great benefit in 3% on resturant and travel purchases. My wife took two trip and rented a vehicle and received 3% on both $600ish bills for the rental. ( they needed a 6 passenger van for a week and logged 1200 and 1400 miles) We also went to Forida for a week and I put all dining out on the card. Costco Citi rewards is way better that what American Express was. great line up for sure – i wish i could juggle many cards, i just don’t have the patience – – i stick with one, 2% cash back – i know i am leaving money on the table, but it’s something 🙂 you got me thinking though!!! I probably have a few too many cards due to some great sign up bonuses ($200 after spending $500) I just use them for legit expenses to get the bonus. I also pick whichever one I get the most for when getting gas, groceries etc. Some offer bonus categories for 5% like drugstores and of coarse groceries and gas. Like you, I figure I might as well skim a few dollars back for money Im going to spend anyway. It certainly does add up. One better, I loaded my cards into Samsung Pay on my phone and gets points in that also. I figure Ill probably earn a $25 gift card through there every year. I’ll check out that Fidelity Visa – 2% is great. We use the American Express Blue Cash Preferred for all gas/grocery purchases – 3% on gas and 6% on grocery (do I remember you used to use this one, ESI?). I haven’t looked to see how much we earned in 2016, but I’m guessing that one alone was around $600+, though it does have a $95 annual fee. We also use the Amazon card and Discover. We’ve used the Chase Sapphire for travel rewards when we have a trip planned, but are on hiatus from travel hacking for the time being. I used it years ago when it was free. just recently retired in my early 50s also. I’m with you on going for cash back, no fee credit cards. Makes things simple. I use the Amazon Visa and the Chase Freedom also. The Amazon card is slowly, but surely becoming my go to card – unless there are special quarterly promotions running on the Freedom card. I also still have the old AMEX Blue cash back card, but it seems less attractive due to the initial $6k spending threshold. The newer version looks interesting, but I just don’t like paying a $95 annual fee. Sometimes sorting through and figuring out what cards offer the best for your situation is mind boggling! Thx for this great share. I keep learning more each day, and trying to use the cards with the most cash back rewards. Sure helps at the end of the year. I did research the Costco Visa and gasoline. You can actually look up the vendor codes and determine whether you will get gasoline (4%) credit. I discovered that most places I pump gas are considered gas stations by Visa (including the King Soopers [a Kroger brand] in Colorado), so I use the Costco Visa for all the gas I buy. We also use the Fidelity Visa for almost everything else.